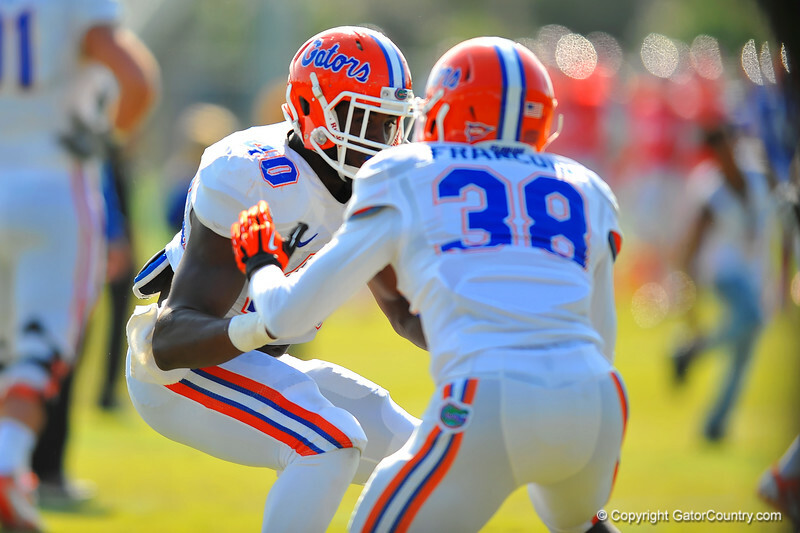 Gator LB Jarrad Davis and DB Kerollin Francois run a defensive drill during practice. Florida Gators Spring Practice 2014. March 26st, 2014. Gator Country photo by David Bowie.